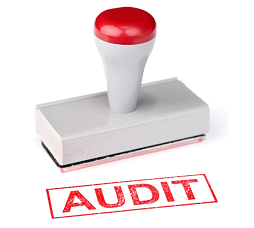 Know the major findings on the equipment and instruments during the regulatory audits. 1. Deviations through the equipment and instruments are not documented and investigated such as any equipment is not cleaned as per the defined procedure; calibration procedure is not followed properly etc. 2. Hold time study of the products in the equipment are not done such as the time taken for the further processing of any product. 3. Worst-case conditions are not applied while validating the systems and equipment. 4. Change control system is not followed for equipment when any change occurred in any equipment such as relocation of instrument or equipment, change in any procedure etc. 5. Equipment and instruments are not properly qualified and documented such as installation qualification are not done. 6. No documented evidence is found for the calibration of sensors such as pH electrodes, conductivity electrodes, temperature sensors etc. 7. Maintenance records for the equipment and instruments are not available to show the routine maintenance and the replacement of the consumable parts as UV lamp in spectrophotometers and HPLC detectors. 8. Computer Systems are not validated and are not having the validation plan such as computer software are not validated for the accuracy of the calculated results. 9. Written procedures for calibration and maintenance are not available for the instruments used in the analysis. 10. Failures those are noted in the ongoing cleaning during the process are not investigated further and corrected. 11. Old SOP is being used for equipment and instruments for their operation and calibration such as obsolete versions are still being used in any department. Training dedicated operators who are qualified to run the equipment. Qualification Documents of the equipment are not sufficient. Working Environment during the operation must be stated.